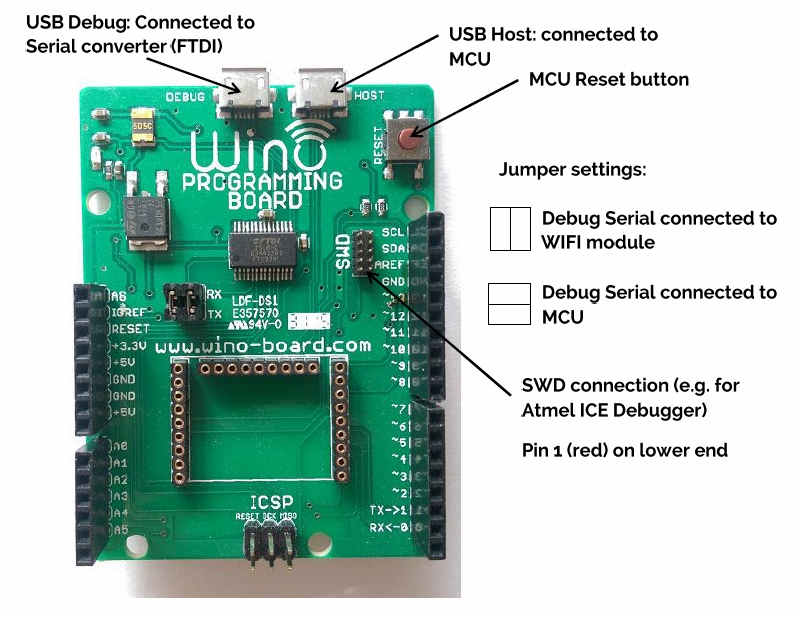 The Programming board provides an Arduino typical formfactor and advanced programming features. WARNING: This board is designed for 3.3V, please do only use only compatible shields. The programming board is used for advanced programming of the board. The oboard FTDI can be connected to the MCU or to the WIFI module by different jumper configurations. It also uses Arduino form factor which makes it possible to use Arduino shields.